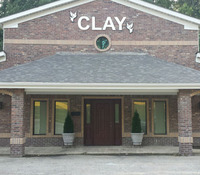 Clay Funeral Home was founded in 1942 by J.O. Clay (1907 - 1957) in Forrest City, Arkansas. Mr. Clay was dedicated to helping others and preserving the funeral customs and traditions that have comforted generations of families. As a family owned and operated funeral home since 1942, personal service and value are especially important to us. Our family’s goal is to be the very best while keeping funeral services affordable for everyone. Please feel free to send any comments or questions concerning the funeral industry. We provide service without regard to race, color, or national origin. Serving you is our most important job, our calling. Monday, November 30,2015 (9:30 A.M.) I would like to personally thank You and Clay Funeral Home for making my Grandmother Mary Lee Nelson look so beautiful in her home going. Our hearts were pleased!! !